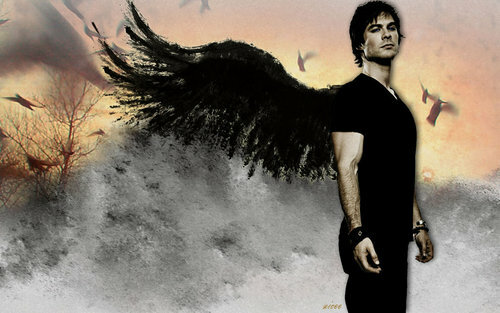 Damon. . HD Wallpaper and background images in the Damon Salvatore club tagged: the vampire diaries damon salvatore ian somerhalder vampire bad boy season 1.
i like this!!! it's awesome!!!!!!!! Wow! Thats so realistically done!